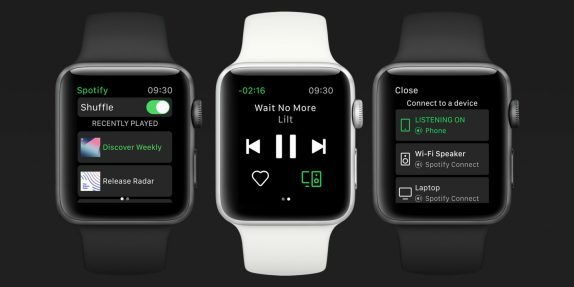 Spotify has finally introduced its app for the Apple Watch giving users the ability to seamlessly access and control music and podcasts. With this new app, users can enjoy an improved experience with better control and the ability to connect to your speakers or devices. Spotify is also bringing the ability to listen to your music and podcasts offline. The Apple Watch app packs feature like play/pause, forward/rewind, skip tracks, and more. You can also easily connect your speakers or devices via Spotify Connect and can also favorite the songs/tracks you like right on the Watch screen. This new experience will be rolling out to Apple Watch users over the coming week. Make sure you are running the latest version V8.4.79 of Spotify which can be downloaded from App Store.